Are you looking for a no-prep creative activity that will let you breathe before the winter holiday, while your kiddos are still growing as learners? This is the right unit for you. This unit is a full-on RAFT writing experience. You can use as little of the unit as you would like, or all of it. This unit can last a class period, or a whole week. It's up to you! RAFT writing helps give your learners direction and structure while still providing choice. 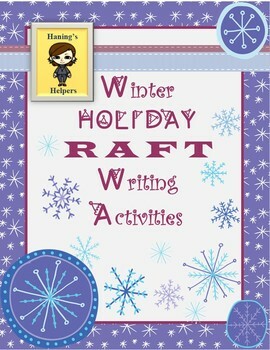 RAFT is an acronym that stands for Role, Audience, Format, and Topic. This writing strategy gives the students a creative outlet to show what they know about a given topic while thinking deeply about alternate perspectives and the audience who will be reading their piece. This skill is essential to understanding their purpose as a writer. RAFT writing is a great way to follow up and extend learning after you have taught Author’s Purpose or this can be used as an independent activity. 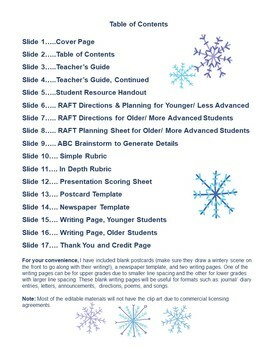 RAFT writing is also a powerful tool when applied in any content area. The structure helps to solidify your teaching and to assess their learning. On the Student Directions handout, there is a chart with multiple Roles, Audiences, Formats, and Topics to choose from. An example would be: I am a (Role) Mrs. Claus, writing a (Format) newspaper article for the (Audience) elves to read, trying to get them to help me in (Topic) persuading Santa to take some time off! Make sure to view the preview for additional details. 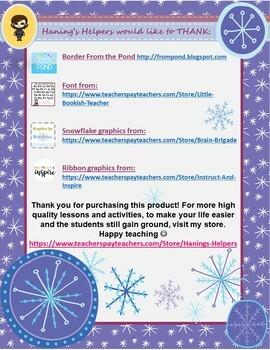 Thank you for the interest of this product! 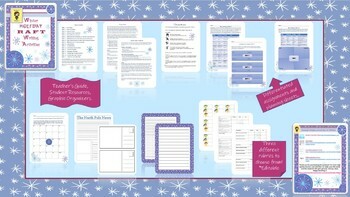 For more high quality lessons and activities, to make your life easier while the students still gain ground, visit my store: https://www.teacherspayteachers.com/Store/Hanings-Helpers.